Upon clearing 10+2, a plethora of career options open before the students. Although there are many great options, commerce is no less in the array of good career prospects. The stream of commerce requires extensive knowledge of the economy, business management, law etc. Accounting and Statistics are two important aspects of commerce. Among the top courses in commerce, Bachelor of Commerce or B.Com is a popular one. The course is available in any top B.Com college in India. But, you can find all the business courses in Hyderabad city in India. It is a 3-year degree course that includes accounting, law, statistics, economy etc. The course prepares the students for employment in the corporate sector. They can also opt for entrepreneurship in their own business. Thus B.Com degrees come with many advantages among which mention may be made of these important ones. Business is an age-old profession. But till now it has maintained its relevance in the arena of employment. Every business is in the requirement of a commerce specialist and a student of B.Com garners a very deep knowledge of business management. They are capable of understanding the financial workings of a country or an organization. This gives them an extra edge in the field of business. Of course, they will have opportunities in the government sector. But they will profit more by working in the corporate sector. There are many sectors to find employment with a B.Com degree. If she wants, she can pursue further study in the form of Chartered Accountancy. It provides more opportunities. Otherwise, she may find employment in the banking sector. There will be a huge need for B.Com graduates. She may find a high-paying job as a company secretary. The stock market can also be a great career option. As a newer option, the agricultural economy can also be explored. 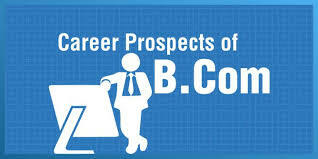 The job profiles a B.Com graduate is offered can be a mélange of almost all the sectors. They can work as accountants, tax auditors, financial planners, economists, stockbroker, investment analyst etc. India has no dearth of business schools. It teems with a great number of colleges where a B.Com course can be pursued. Rachnoutsav Academy is the epitome of excellence in this field. It specializes in offering an array of commerce courses while maintaining quality and excellence. The Academy provides the best education in the form of world-class faculties with many years of experience.